Game #22 Stephen Strasburg takes on the Mets! The Grapefruit League schedule ends in a week from today as the Nationals will fly back to D.C. at the conclusion of next Sunday’s split-squad games. Stephen Strasburg gets this St. Paddy’s start and will get one more start before he leaves Florida. The Nats have a few question marks remaining before they head north. Yesterday was the implosion of the back of the Nats’ bullpen. In the 7th inning, Kyle Barraclough gave up back-to-back home runs to Cardinals minor league players to make the score 5-3 in favor of the Nationals. In the 9th inning, Sean Doolittle had a blown save giving up 5 runs and he took the loss. He faced only one player who looks like he could make the Cardinals roster so this was not Paul Goldschmidt, Matt Carpenter, and Yadier Molina. Doolittle’s 28th pitch of the inning with 2-men on base did not even reach 90 mph on the radar gun. When that pitch clocked at 87 mph reached Andrew Knizner, he knew what to do with it and smashed it over the leftfield bullpen for the game winning 3-run homer. So why was Doolittle still in that game? 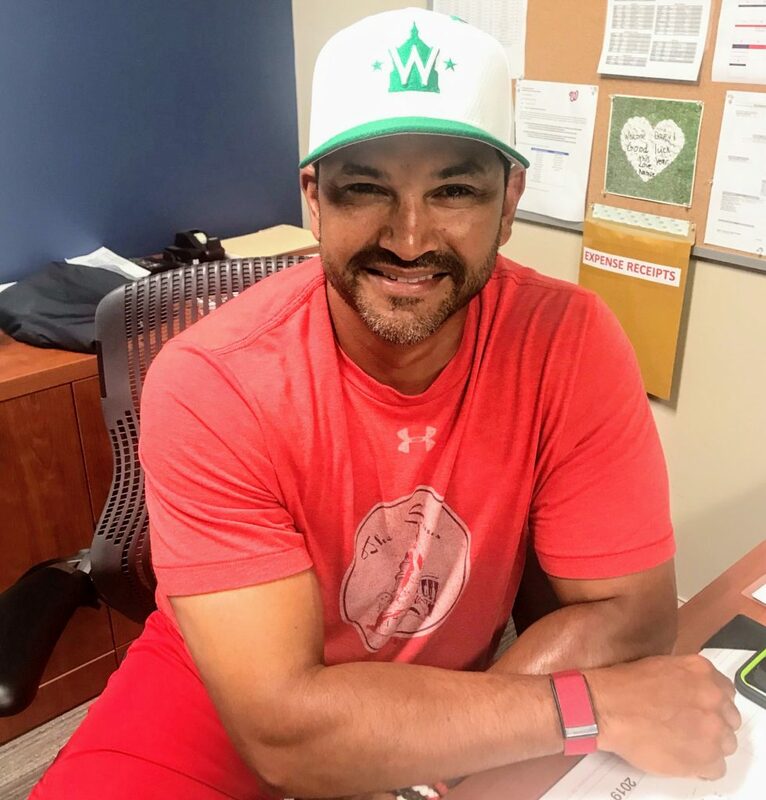 Ask manager Dave Martinez. 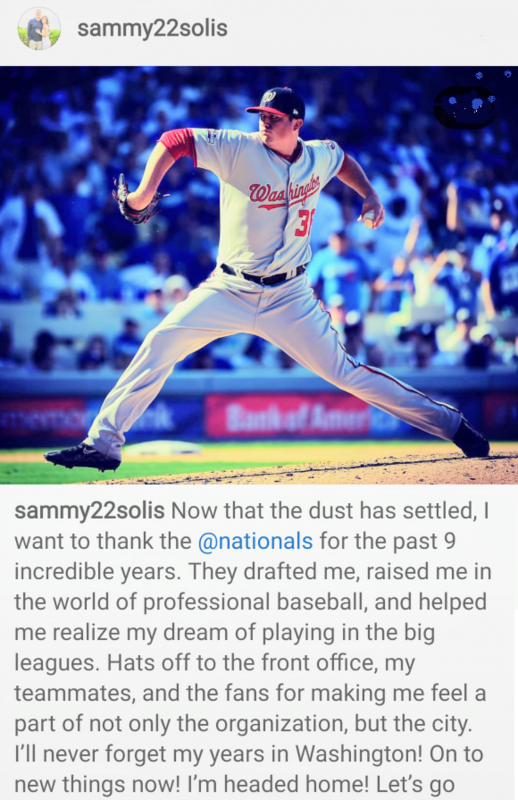 Speaking of bullpen arms, a former Nats bullpen arm, Sammy Solis, had not posted on social media since Valentine’s Day until yesterday when he posted a sincere “Thank You” to the Nats and the fans. This was brought to my attention from someone who works in baseball and wished to say anonymous because this person also mentioned that neither Tanner Roark and the “$330 Million Man” thanked the Nats and the fans. Solis was released by the Nationals 8 days ago and signed a minor league deal with the Padres just 4 days ago but took the time 3 days after signing with the Padres to write that social media post on his Instagram account.